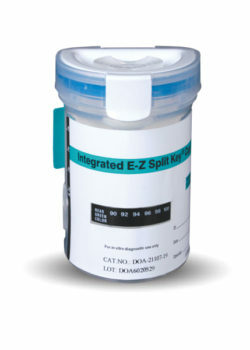 Integrated EZ 4 drug test is a 4 panel drug test for COC, THC, OPI, mAMP. The DOA-1247-019 is a easy to use key cup. Sold in boxes of 25 tests, Free ground shipping. Two part drug test results form included.